Since the fall of Indonesian President Suharto in 1998 the public have begun expressing long suppressed views about religion, unfortunately many views are intolerant towards religious minorities. In 2012 a three citizens, a Shia cleric, a spiritualist and a self-declared atheist who had listed Islam as their religion were jailed for blasphemy (Kine 2014). Even though Indonesian law protects freedom of religion, past governments have failed to make a significant effort to protect minorities or prosecute those responsible for the violence, intimidation and harassment. Unfortunately much of this can be linked to the previous government of president Bambang Yudhoyono, who ruled from 2004 to 2014. In 2005 Yudhoyono gave a speech to the Indonesian Muslim Council (MUI), promising them “a central role in matters regarding the Islamic faith” and “pledging the government’s openness to their fatwas” (Rogers 2014). Within days of this, MUI issued a series of fatwas against people for heretical beliefs. The constitution and other laws in Indonesia protect the religious freedom of their citizens, however certain laws and policies contradict this and restrict religious freedom, leaving some citizens unprotected by the government based on their religion. Across Indonesia religious minorities have increasingly become the targets of violent harassment, intimidation and threats. 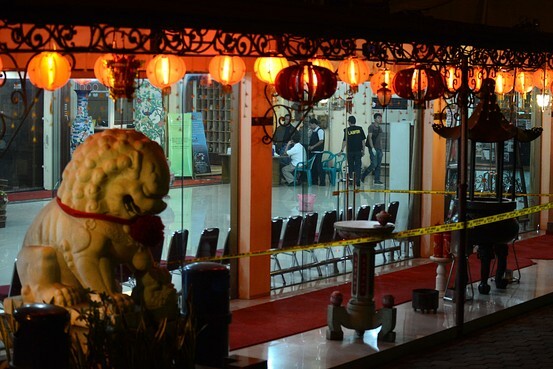 In August 2013 a bomb was planted inside a Buddhist temple in Jakarta, injuring three people. The very next day Molotov cocktails were thrown into the yard of a Catholic high school in Jakarta. Over the last ten years Setara Institute has documented that cases of attacks on religious minorities has risen from 91 cases in 2007 to 220 in 2013 (Kine 2014). Police investigators gathering evidence inside the temple of Ekayana Buddhist Centre in Jakarta where an explosive device went off (Hariyanto, J. 2013). The central government has authority over religious matters but in some cases has taken no measures to overturn local laws restricting people’s rights based on their religion (US Department of State 2011). Newly elected president Widodo faces a major challenge in stopping the rise of extremist Islamism and tackling increasing violence against minorities due to religious intolerance. After his election in July 2014 Indonesian minorities have gained hope as President Widodo is against radicalisation and proceeds against religiously motivated violence, punishing these acts severely (Heiligers 2015). As Indonesia experiences rapid urbanisation, population growth and household consumption rates increase, much more solid waste is created. As it is not sustainable for household waste to be burnt or dumped into landfill, Waste Banks are finding a more eco-friendly system for peoples waste management. The concept behind Bank Sampah Gemah Ripah started in 2008 with Mr. Bambang Suwerda, a lecturer in the Environmental Health faculty at the Polytechnic University of Yogyakarta. The concept of Waste Banks was developed to address the environmental issues caused by waste produced by local communities (Ashoka n.d.). The main purpose of Bank Sampah is to create a cleaner environment, which leads to a healthier environment. It focuses on the three R principle of “Reduce, Reuse, Recycle” as well as the philosophy behind the Indonesian expression “Gemah Ripah Tablets Jinawi” simply translating to “the prosperity and fertility of the land and its people” (Stevens: Schmidgall-Tellings 2004). By developing a system using economic incentives, Bambang Suwerda has introduced a system of waste management that ensures participating households have sustainable waste separation practices that lead to environmental benefits for the local community as well as financial benefits for the household. By adopting a system implemented by conventional banks, Bank Sampah is able to function as a traditional bank but with a unique difference. The Bank Sampah gives monetary value to household trash in efforts to encourage people to be responsible for their own waste management (Salim 2013). The non for profit organisation functions with no cash box, using scales to weigh and value the customers waste donation, which is then put into sacks and stored in a warehouse (Slamet, 2009). 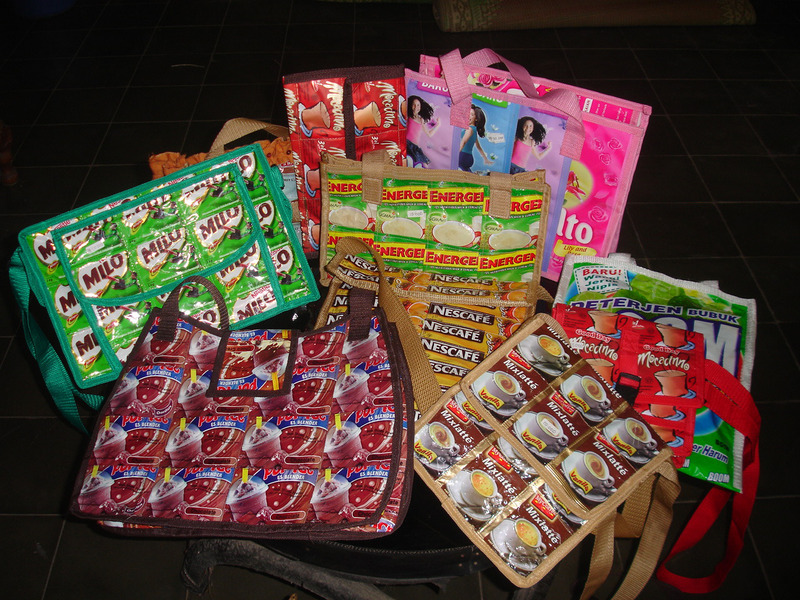 Waste donations are collected from customers and either sold to appropriate buyers or used to make handicrafts. The Waste Bank takes 15% of revenue, which contribute to the operation and maintenance of facilities and infrastructure. Remaining revenue is deposited into the customers “Waste Bank savings account”, which they can withdraw from every three months, creating an economic incentive for customers to sort and donate their household waste (Diegenetika 2013). 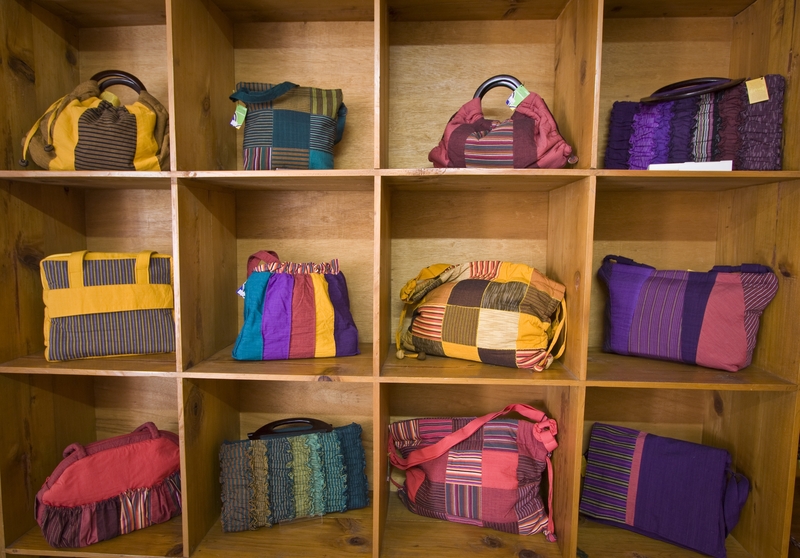 Handicraft workers source recyclable plastic from the donated household waste to design and create bags and wallets, which are then sold. Bambang’s Waste Bank has had success with involving members of community in responsible waste management, which has lead to the Ministry of Environment in Indonesia to adopt and replicate the model nationwide. Although this concept has been successful in reducing landfill and encouraging households to become more sustainable, it does not encourage behavioural change in the purchasing and sourcing of food. More education and community involvement is needed to be able to assist households with becoming more sustainable in aspects other than just sorting their waste. Stevens, A.: Schmidgall-Tellings, A. 2004, Kamus Lengkap Indonesia-Inggris, Ohio University Press, Ohio, USA.